The biggest question at the heart of Scotland’s future power supply is not about renewables, though that is where the main focus tends. Rather it is Longannet. What is ScottishPower going to do with a 40-year-old power station that currently churns out more than 2,000MW (mega-watts) of solid, reliable baseload electricity, generated from 4.5million tonnes a year of coal? Without knowing the answer to that, the other pieces of the jigsaw can only form a very incomplete picture. The question took on a new dimension late last year when Iberdrola, the Spanish owner of ScottishPower, decided that converting Longannet to carbon capture and storage technology did not feature high in its priorities, so the plans were dropped. Relations between the Scottish Government and Iberdrola are famously – some would say unhealthily – close. The First Minister’s early rhetoric about the wickedness of foreign ownership has given way to a pragmatic understanding of mutual usefulness. And it suited both to present Iberdrola’s retreat from CCS as someone else’s fault – namely the UK Government which was willing to put a not insignificant £1billion into the project. When Iberdrola upped the ante by a full half-billion of public money, this company did so knowing it was unrealistic. Between them, Iberdrola and Alex Salmond then spun the story into one of betrayal by London, which was far from the reality. There was certainly no word of rebuke from Holyrood for the Spanish energy giant that, for years, had lulled Scotland into believing that Longannet’s future was underpinned by its commitment to reduce emissions through CCS. Neither has there been any follow-on focus on what Iberdrola plans to do next – a matter that should be of interest to the Scottish Government since Scotland’s ability to keep the lights on depends largely on the answer. So too do the carbon reduction targets of which we hear so much when it suits them. Longannet is Scotland’s biggest polluter and existing measures to reduce its emissions only take it to 2015. Life extensions beyond that without very substantial further investment would impact heavily on our carbon reduction obligations. So it is essential to know sooner rather than later what its owners now plan to do about it. 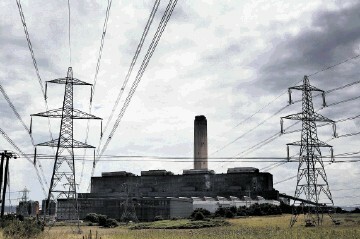 Will Scottish Power/ Iberdrola seek to extend the life of Longannet as a coal-fired station? Will they build a new one? Or will they do the same as they are planning for Cockenzie, with little questioning of the implications of conversion to gas? The implications of pursuing a gas option at Longannet would be enormous – not just for our coal sector but also security of supply. With both of Scotland’s nuclear power stations living on borrowed time, we could become wholly dependent for base-load generation here on gas-fired plant. 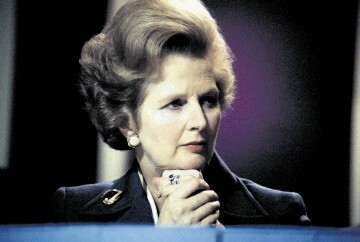 While this scenario would not fully kick in for another decade, it is decisions made now which will shape the future. By then, virtually all gas would be imported. That makes no sense for security of supply. The more one looks at the alternative scenarios, the more foolish it seems for Scotland to be throwing away its successful adherence to a balanced energy policy which for decades has been based on a mix. Making bloated claims for renewables while actually becoming dependent on imported gas is not much of an alternative strategy. Meanwhile, the carbon capture and storage option lives on. Scotland still has two live projects in the frame – one gas and the other coal. There is the SSE-led proposal for Peterhead which Shell has also signed up for by offering storage in the depleted North Sea Goldeneye field and existing St Fergus infrastructure. Then there is the Ayrshire Power plan for a new coal-fired station at Hunterston with CCS incorporated from the outset. The failure of the Longannet project does not mean that the pursuit of CCS is any less important both from an environmental perspective and also as a massive industrial opportunity for the UK, and Scotland in particular, where we have a wide range of academic expertise and relevant companies. But to get into the global game, a full-scale pilot project is essential, as we said a decade ago. At the conclusion of a recent House of Commons debate on the Longannet decision and the implications for CCS, UK energy minister Charles Hendry gave a very clear commitment that, although the timescale has moved back because of Iberdrola dropping Longannet, “the £1billion remains ring-fenced”. That is a very important commitment which will give heart to those who are still in the race.